Just a little clarification. 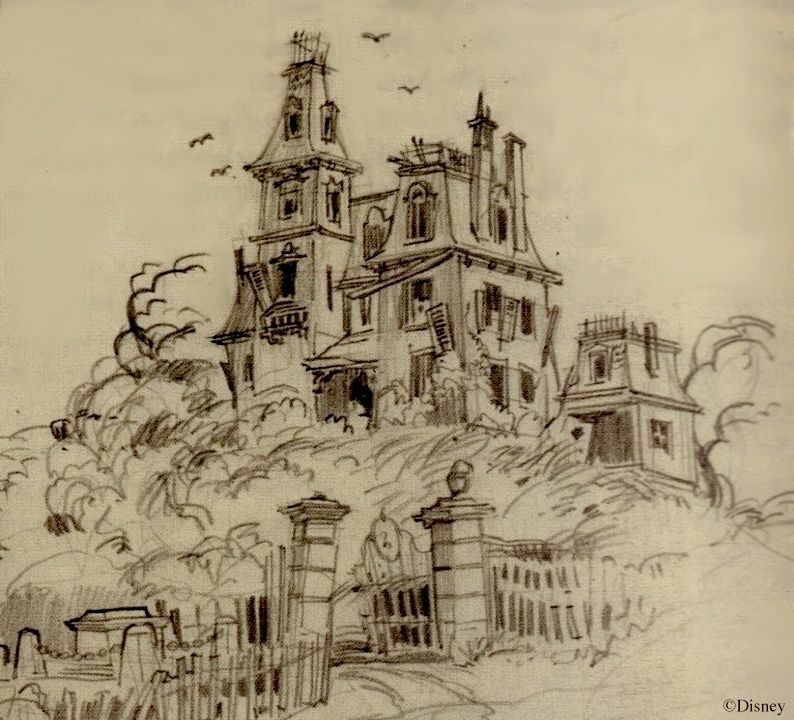 I believe that Roy Rulin sketch was actually concept art from a Spin & Marty episode -possibly 'The Live Ghost' from 1955. I remember Dave Mumford telling me this back in 1990s. 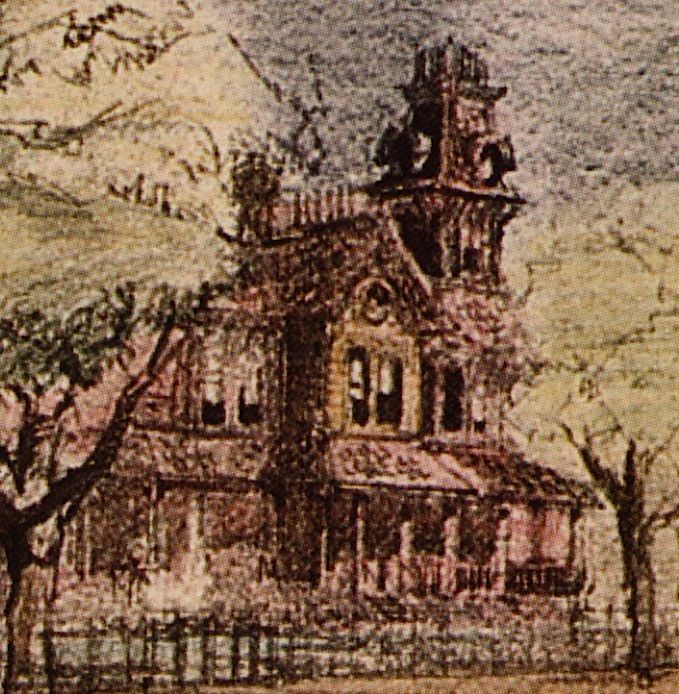 I've seen that concept art referred to as HM concept art for some time now, but I don't believe it is. 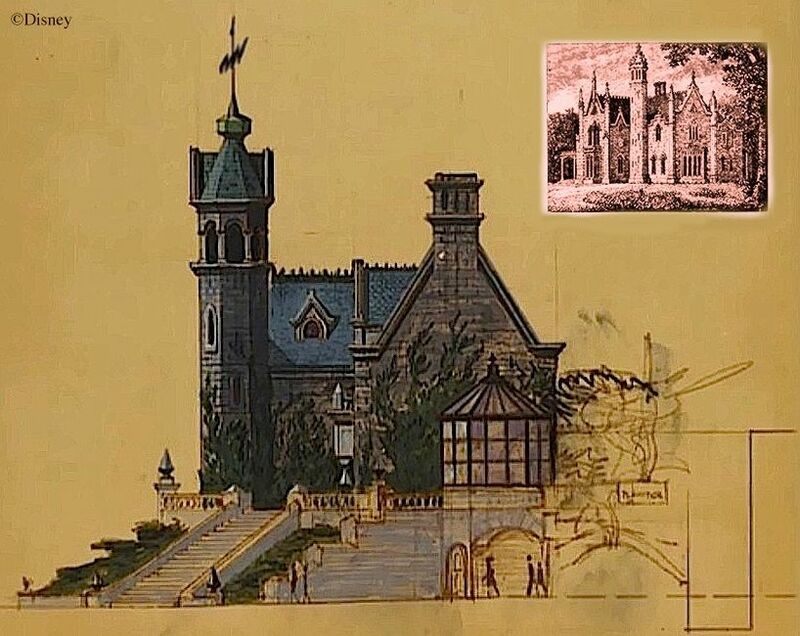 And not to be totally picky - but that Marvin Davis "sketch" is actually a working elevation, to be used in construction. Dunno why the cat weathervane wasn't followed though! Likely they made these changes in the field without revising the drawings... just speculation on my part! 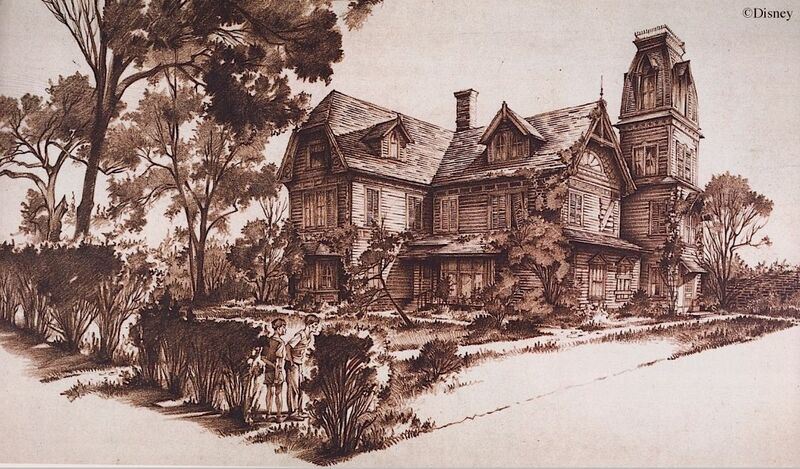 I have two original Rulin's one of haunted mansion and another that says commissioned for Bob Gray. Dated 1960. Thanks for the clarifications...I'll make some edits to the post. 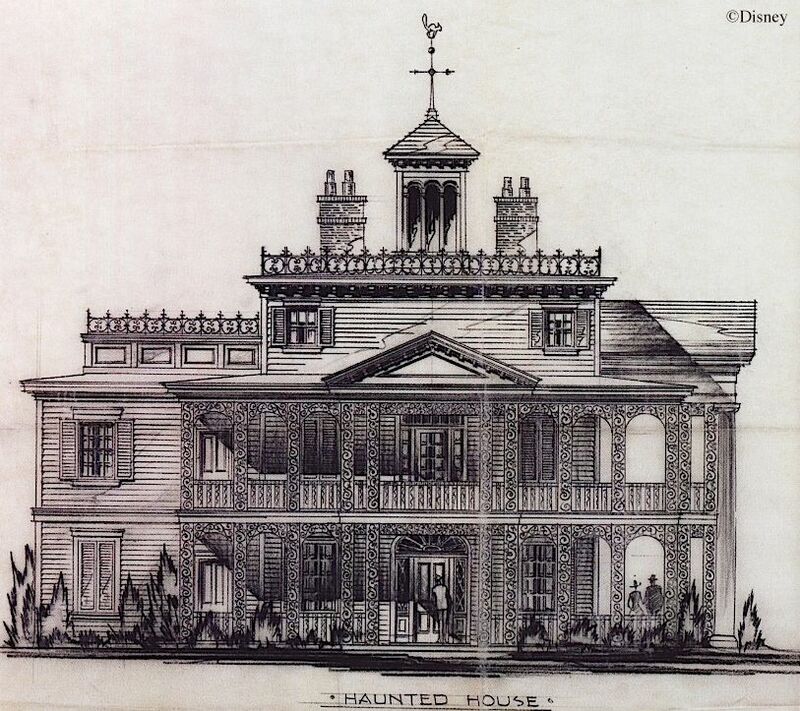 With regard to the Davis drawing, it you compare it to actual 1962 blueprints of the south elevation, there are really quite a number of differences, so even though you are right that it isn't a "sketch," it still represents something between the Anderson original on the one hand and the final blueprint reality on the other. Obviously, it's a lot closer to the latter than the former, but it isn't quite there yet! HBG2 you've done it again. This is indeed a wonderful post and a fascinating read. Always a pleasure dropping in on your blog. Chris is correct as usual - this is not WED concept art. My understanding is that this is a Roy Rulin piece created for the Hardy Boys TV serial "The Mystery of the Applegate Treasure" with Tommy Kirk from 1956. 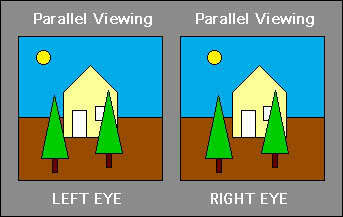 Do a Google image search for it, you'll see the same house in the titles. 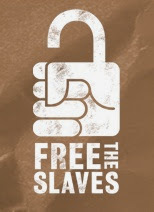 Thanks and great blog as usual! Thanks Jer, you are indeed correct. I'll post a photo, and we can put this baby to bed for good. That's the up side to being wrong in public—someone may correct you, and you learn things you never would have known otherwise! 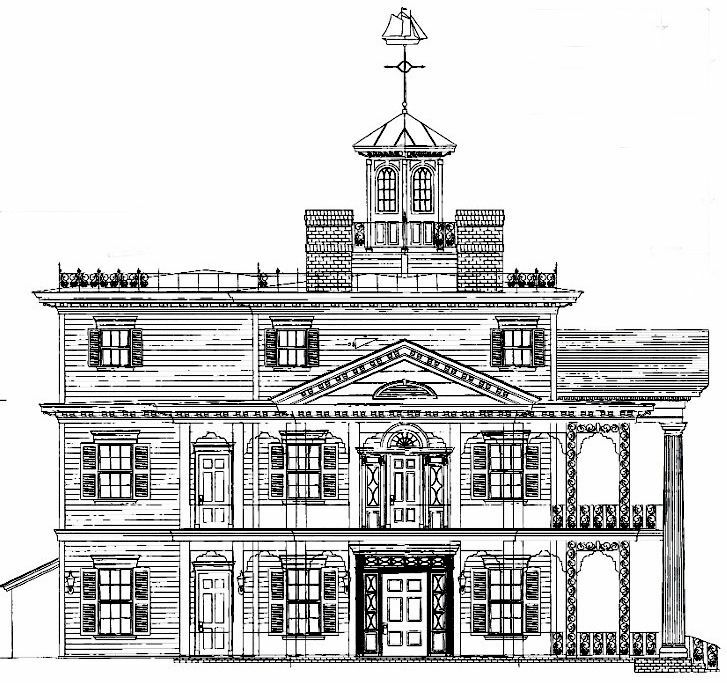 How about posting a photo Baltimore's Shipley-Lydecker House for comparison? Wow - totally busted! I wonder if Rulin had a clipping file of source material - and used it in both, figuring no one would notice. 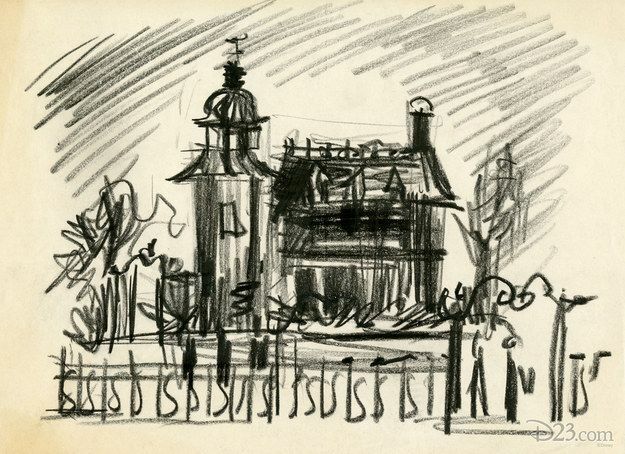 I have purchased an origional charcoal drawing of the "Westward Ho" by Roy Rulin, it is AMAZING! Why cant I find more information about this amazing artist? No one seems to know much about Rulin. 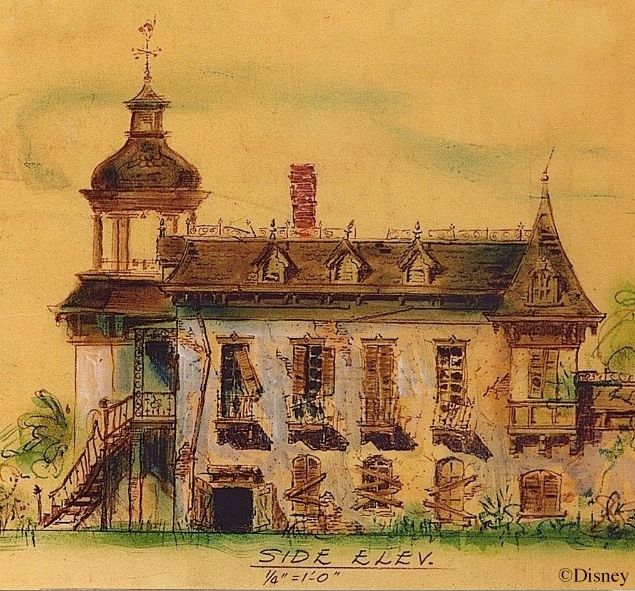 Googling around, I see that he did some artwork for The Ten Commandments, and there are a handful of concept sketches for Disneyland out there. Other than that, I got nuthin'. wow...such a talent....no information. Thanks for the reply. 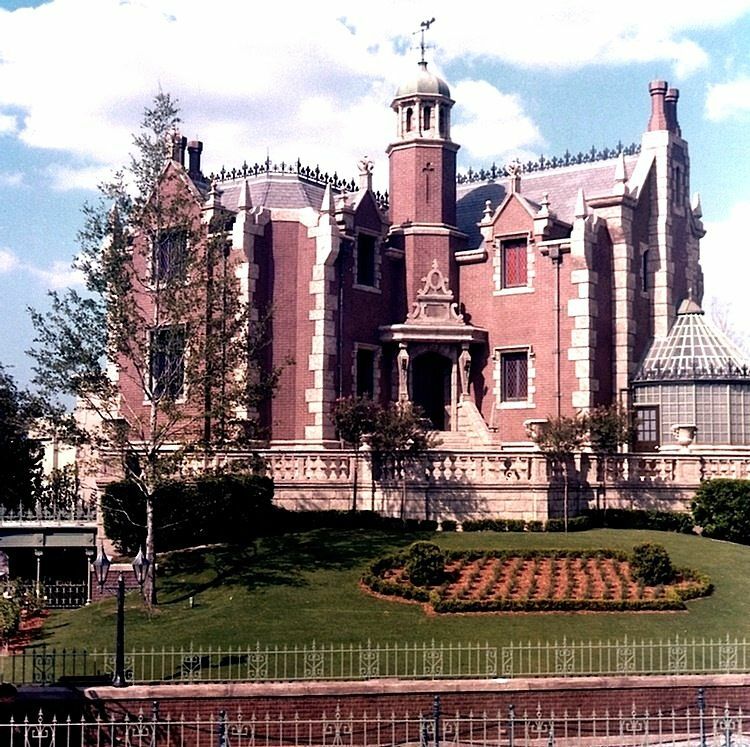 Disney really should have gone back and used the original 1957 Sam McKim concept for Mystic Manor in Hong Kong. It has just the right look to fit into that Adventureland border it originally was designed for. I finally got to the bottom of the Roy Rulin discussion. I met with his granddaughter in CA. Story goes, he was one of his top artist from 54-57, he was then conceived to be a communist. 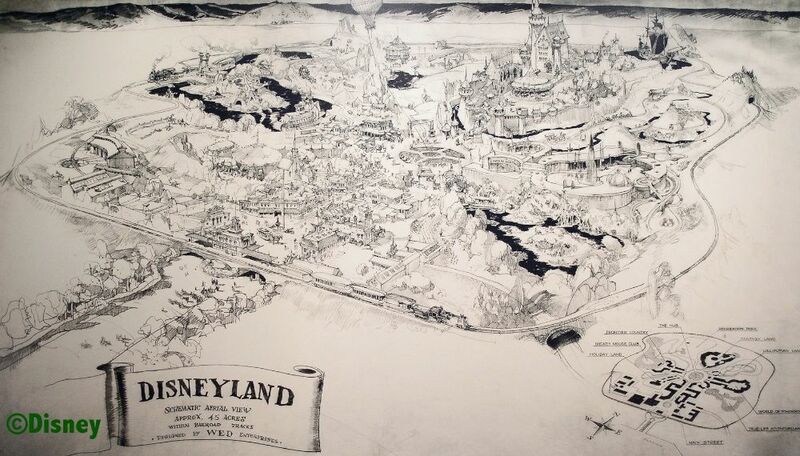 At that point Walt had ALL of his art associated with Disney destroyed. He was then shoved out, cast out from the Disney family of artistry. He was an AMAZING detailist and animator. She has inherited most of his "hidden trasures" from the late 50's. 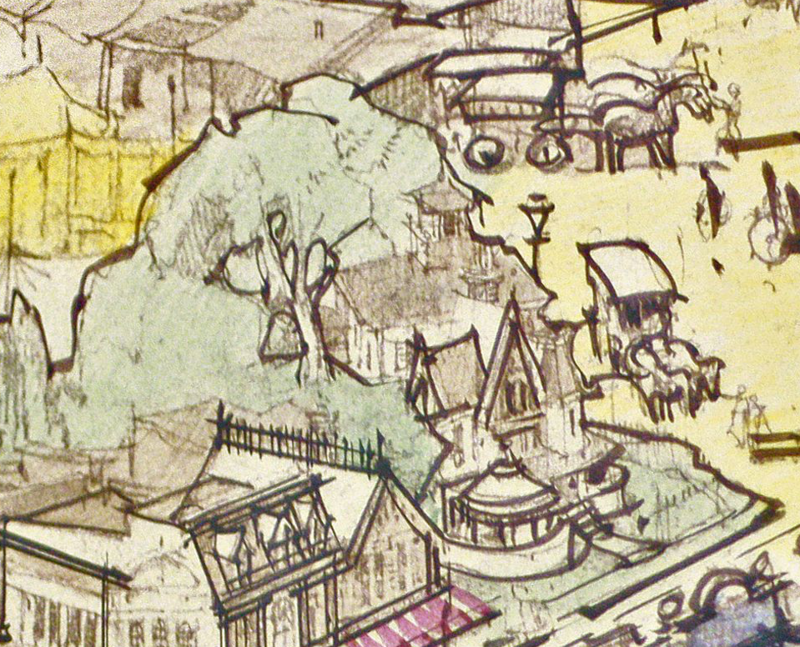 Most of it concept art for the park itself. More intriguing all the time. That's interesting indeed. 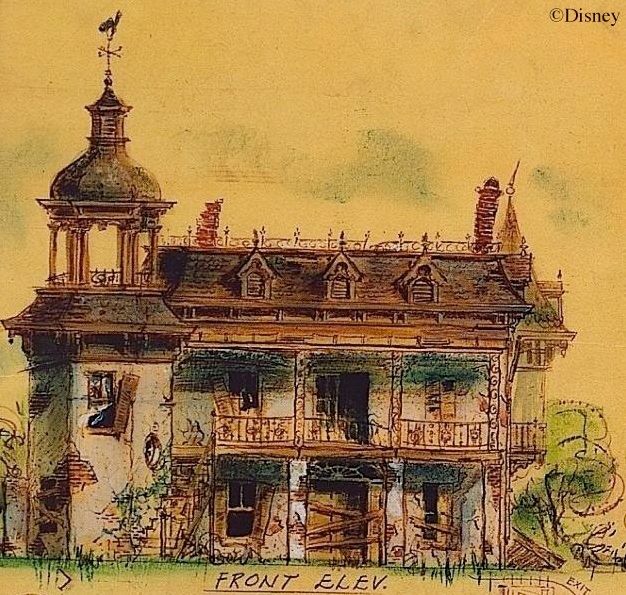 If that story is right, it should be written up on one of the Disney history websites, and of course it would be great to see the surviving artwork! I've been wondering what became of the Rulin story. We will be putting up a website in the near future to celebrate his work. By the way, he was not a communist. Sad. Sounds like it will be an interesting story. Strangely, my understanding is that Ward Kimball was about as hard-left as you can get, politically, and yet it seems that he and Walt got on well enough. Looking forward to the Rulin site. Unfortunately, people out there seem to make things up when wishing they knew more about Rulin the man / artist than they do. Ultimately, he would be most flattered with all the good talk about him. I so wish he were around to read it and take it all in......and to continue drawing ! 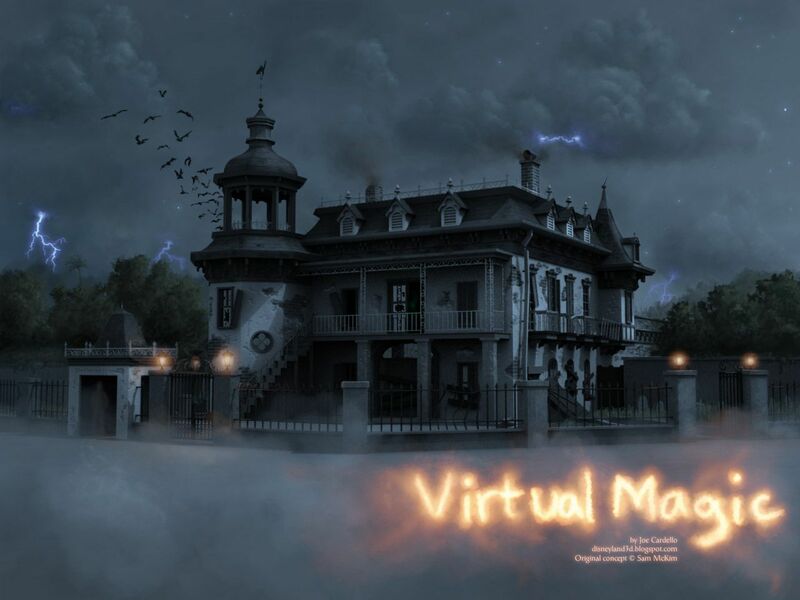 Your blog is an interesting read - hats off to you ! I will keep you posted...Its taken me 2 years to get this far...I just hate to see talent like this get blacklisted over false reputation. 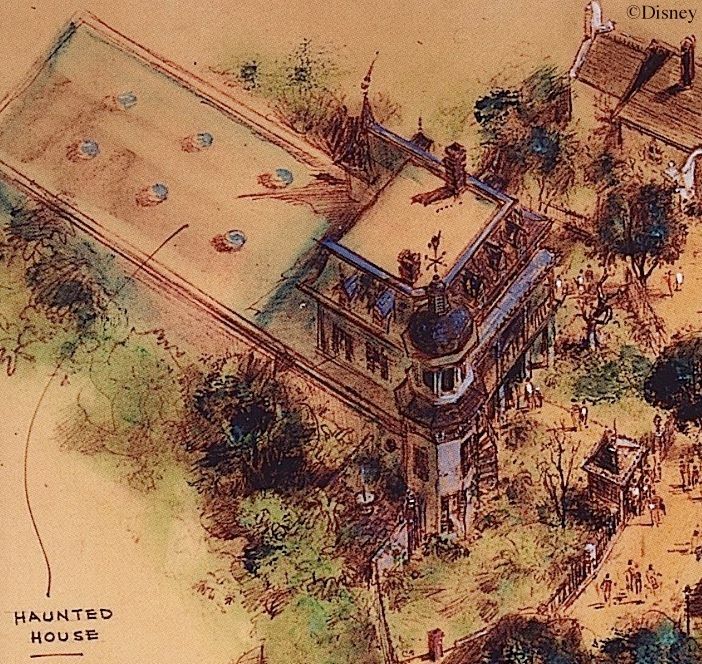 Just wondering -- I've only recently read, that the original 1964 "Chilling, Thrilling Sounds of the Haunted House" LP's cover art, credited to Paul Wenzel, would have been "conceptual art" for the Disneyland mansion. Is this really a fact, or just Wikipedia nonsense? 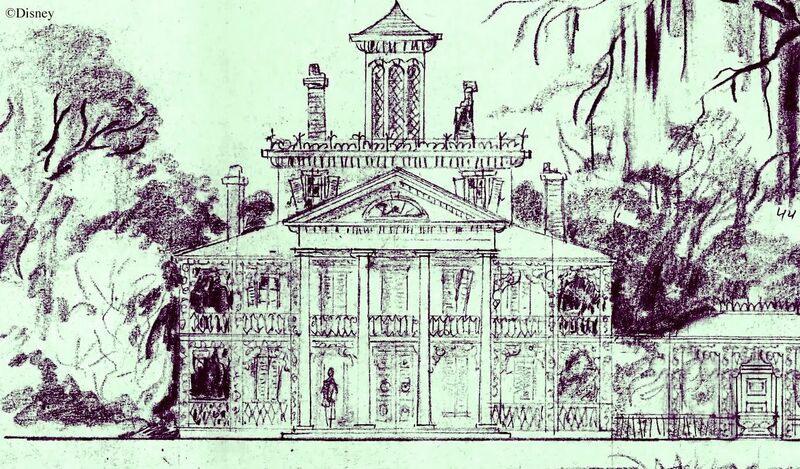 Because if it is a fact, then there was yet ANOTHER house suggestion for Disneyland before the Sam McKim creation. I hadn't heard that one. IMO, it smacks of urban legend. 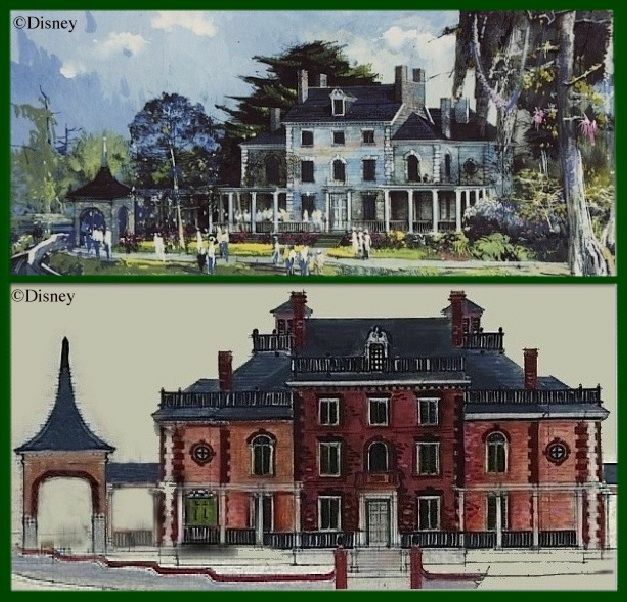 Usually with concept art, there is at least a half-hearted attempt to put the subject in an environment similar to expected Disneyland reality. 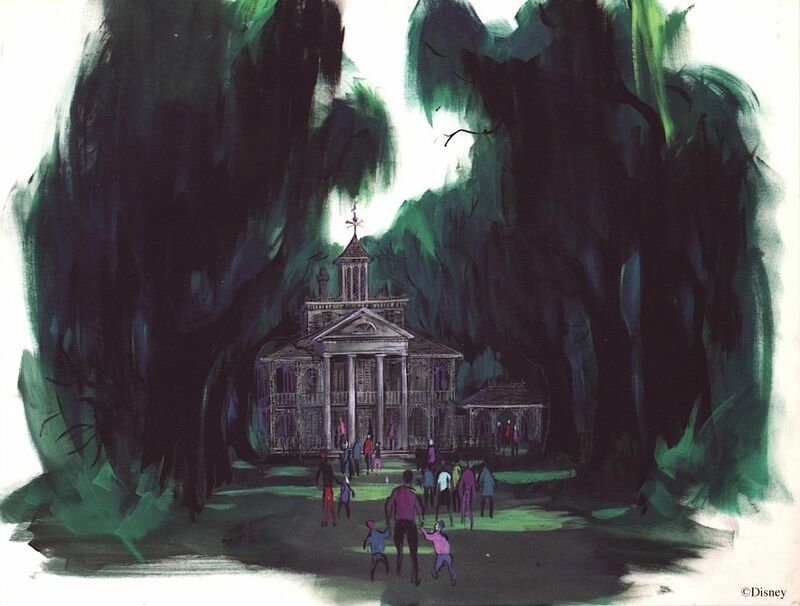 In this case we have a huge cemetery covered with unkept grass, an impossible setting by any stretch, so I don't think it's concept art for the park attraction. I believe I have 2 rulin originals. 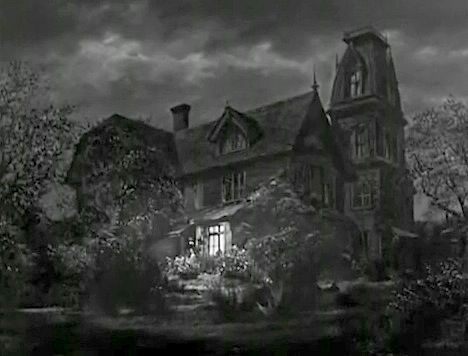 The mansion and the other is off the set of a Henry Fonda set. It say commissioned for Bob Gray , off official movie sets, 1960. Trying to figure out how to post remarkable sketches. 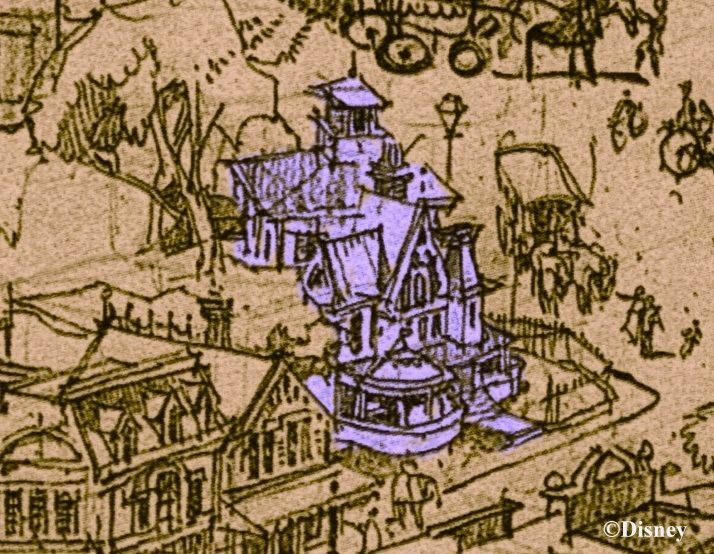 No graveyard, but you're right that there may be a haunted house in Ryman's sketch, so I'm going to add it to the post. Thanks!
? Which piece is that? What a great idea to create a post with all this amazing artwork in one place! 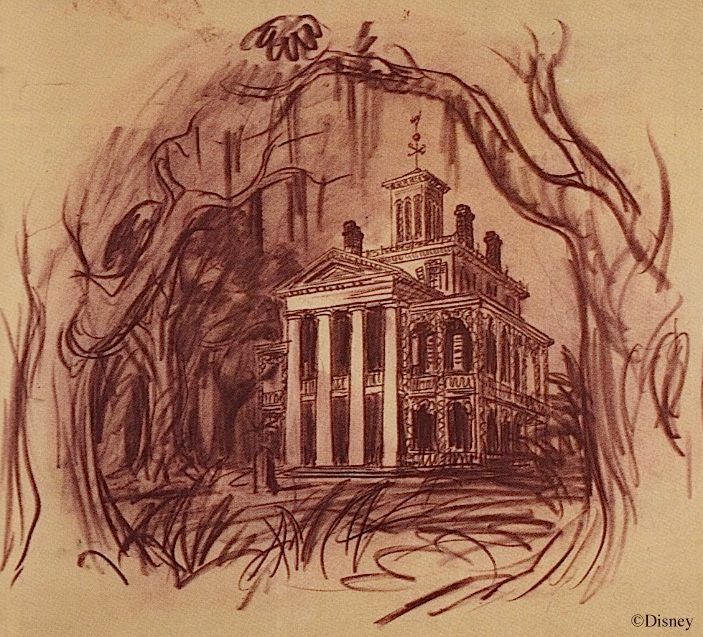 I've seen a Marvin Davis sketch (dated 1953) of a potential Disneyland layout, and it included a haunted mansion all by itself on the banks of a river (reminds me of a certain house we know). 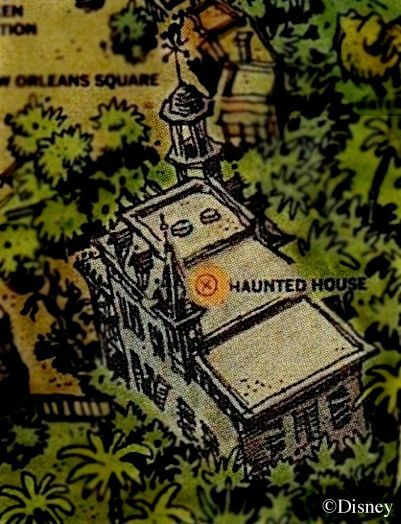 It was just a tiny blip on an aerial map though, so no evidence of what type of design Marv may have been envisioning for such a house at that point in time.